BitClub Network offers three different pools as shown below, with a price of US$500, US$1,000 and US$2,000 as well as the combination of all three pools known as the Founder Pool, for US$3,500. Each comes with 1,000 days of mining, which becomes perpetual and does not expire as a portion of your mining earnings is automatically set aside for repurchases of partial shares, effectively keeping your contract active without additional capital in the future. Hence, it is a pay once and mine in perpetuity. You will need a valid email address to register your account with. A Bitcoin Cash wallet, such as the one provided by BTC.com will serve as your hub for managing and transacting your Bitcoin Cash (BCH), and can be downloaded for free from the App Store (for Android devices) and Play Store (for iOS devices). You may use any other Bitcoin Cash wallet app that facilitates sending and receiving Bitcoin Cash (BCH). You will need to purchase the US Dollar equivalent in Bitcoin Cash to make payments for membership and mining pool purchase. Remember to add US$99 to the price of the pool above that you are considering in getting. 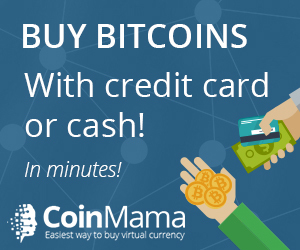 You may purchase your Bitcoin Cash from Remitano to get started. Important: It is always a good idea to buy a bit extra to cover for the minute fluctuations in Bitcoin Cash price between the time of buying BCH and registering a mining pool. For example, for a Founder Pool at US$3,599, you could buy US$3,700 or US$4,000 worth of Bitcoin Cash. Whatever you don’t spend later, you can keep for capital appreciation or future transactions. If you’ve completed the above, we can proceed with the next section. First, click on this link to register for an account. Insert your first name, last name, email address, a username for your account, and password. Click on CREATE ACCOUNT to register for a free account. Make sure that your username registered in Step 1 is correctly shown here. Your username is always shown in capital letters. Click on SEND VERIFICATION CODE and check your email inbox. Check your email inbox for the verification code. Type in the verification code which is sent to your email address. Check that email is verified. Next, click on UPGRADE ACCOUNT. An invoice for the membership fee of US$99 is generated. This is shown in the USD equivalent amount in Bitcoin Cash. The invoice will be valid for only 10 minutes. Please do not pay if the time of 10 minutes has elapsed. If that happens, recreate another invoice by repeating Steps 9 and 10 above. Launch your Bitcoin Cash wallet on your smartphone and scan the QR code to send payment as shown below. Confirm that the address scanned matches the one shown above the QR code. You only need to check if the first and last 5 alphabets and numbers match. Also, confirm that the amount in BCH or USD is correct. WARNING: SEND ONLY BITCOIN CASH (BCH) AS IT IS THE ONLY CRYPTOCURRENCY ACCEPTED AS PAYMENT. DO NOT SEND BITCOIN (BTC) – SENDING BTC WILL RESULT IN LOSS OF BITCOIN. Scan the generated invoice QR code with the Bitcoin Cash wallet on your smartphone. If you have not send any Bitcoin Cash payment before, you may refer to this tutorial for Bitcoin (BTC). A similar procedure applies for Bitcoin Cash (BCH). The next page shows and confirms that the payment has been received. Next, click on SHOP, and in the drop down menu, select BUY MINING SHARES. Choose your preferred Mining Pool Share and click on BUY NOW. The Founder Pool is recommended as the return is proportionately higher, but even more importantly, it offers additional bonuses and members are invited to participate in special projects from time to time. Another invoice for the Mining Pool selected is generated. This is shown in the USD equivalent amount in Bitcoin Cash, in this case, equivalent to US$3,500 for a Founder Pool. Again, the invoice will be valid for only 10 minutes. Please do not pay if the time of 10 minutes has elapsed. If that happens, recreate another invoice by repeating Steps 16 above. Launch your Bitcoin Cash wallet on your smartphone and scan the QR code to send payment. Confirm that the address scanned matches the one shown above the QR code. You only need to check if the first and last 5 alphabets and numbers match. WARNING: AGAIN, SEND ONLY BITCOIN CASH (BCH) AS IT IS THE ONLY CRYPTOCURRENCY ACCEPTED AS PAYMENT. DO NOT SEND BITCOIN (BTC) – SENDING BTC WILL RESULT IN LOSS OF BITCOIN. That’s it! You now own a Mining Pool Share with BitClub Network. Mining will commence in 30 days. If you wish to just purchase a mining share with BitClub Network and sit on it, i.e. not do anything and just let the profits roll in daily, you can. There’s no harm in doing that and a majority of members have been running the mining pool this way since 2014. However, if you should choose to want to build your income beyond just mining, BitClub Network offers the option of tapping onto its referral based system for further profits. To do this more efficiently, it is advisable to purchase a few smaller pool shares as part of your main share. However, we would suggest for you to contact and speak with us directly after you get the main share (in Section 02 above) so that we may explain in further detail and guide you properly to prevent any error or confusion in moving to this next step. You may use the form below to send us your queries.